Another wonderful creation from Rob English: custom steel frame with internal Shimano Di2 group and Enve wheels. 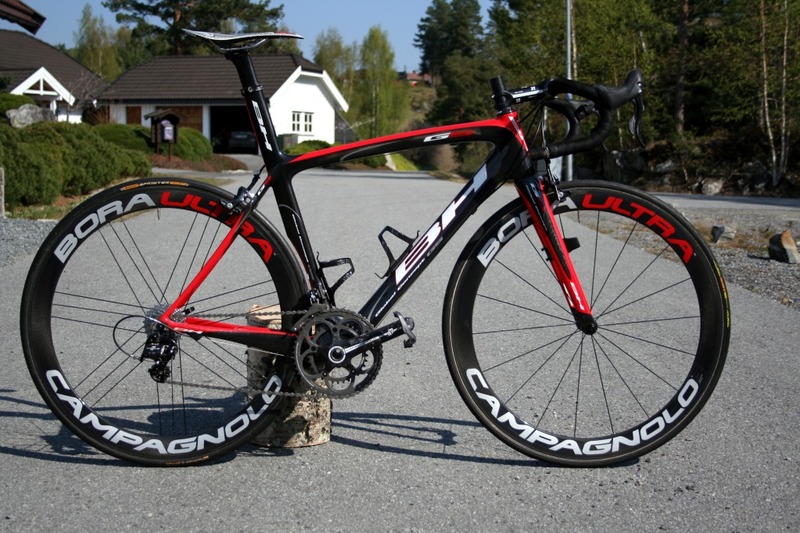 A BH G5 with Campagnolo Chorus, Bora Ultra wheels and 3T cockpit. I find this to be a very tasteful yet racy build. 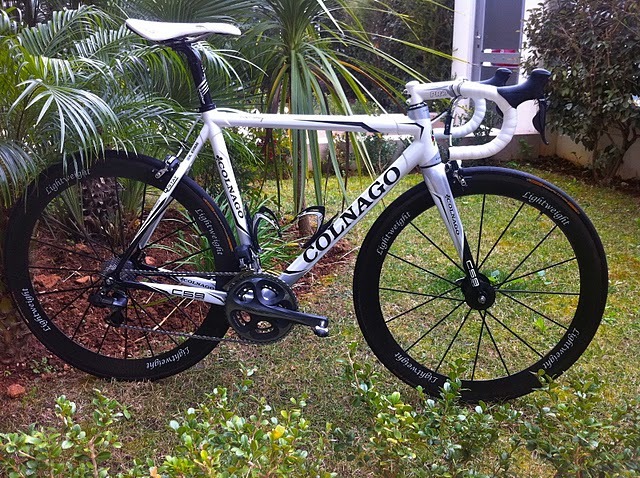 Captured in the wild: Colnago C59 with Shimano Di2 drivetrain and Lightweight wheels. 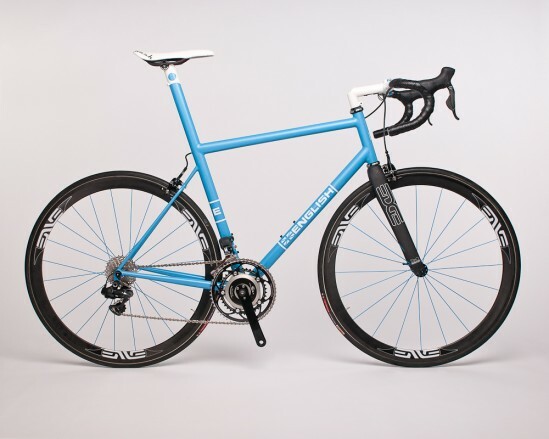 If I was willing to spend the money to build myself a dream bike around an off-the-shelf frame, it would probably end up looking very similar to this. Recently, I purchased an iBike Sport from Competitive Cyclist. Frankly, I was in need of a new cyclocomputer, and I have been wanting to try one of these to see how well it works as a power meter so I gave it a shot. I should clarify something; the iBike is not really a power meter but more of a power estimator because it doesn't use strain gages for measurements like other popular power meters do (Powertap, SRM, Quarq). Instead, it measures wind speed and the road gradient, and then calculates how much power is theoretically required for a certain rider to be traveling at the given speed. These calculations are based on several assumptions taken as constants, such as aerodynamic and rolling resistances, so there are some inherent deficiencies in the calculations (such as not being able to account for changes in positions, like going from the tops to the drops). But overall, this test done by VeloNews suggests that the calculated real-time power readings from the iBike correspond pretty well to those from a PowerTap.